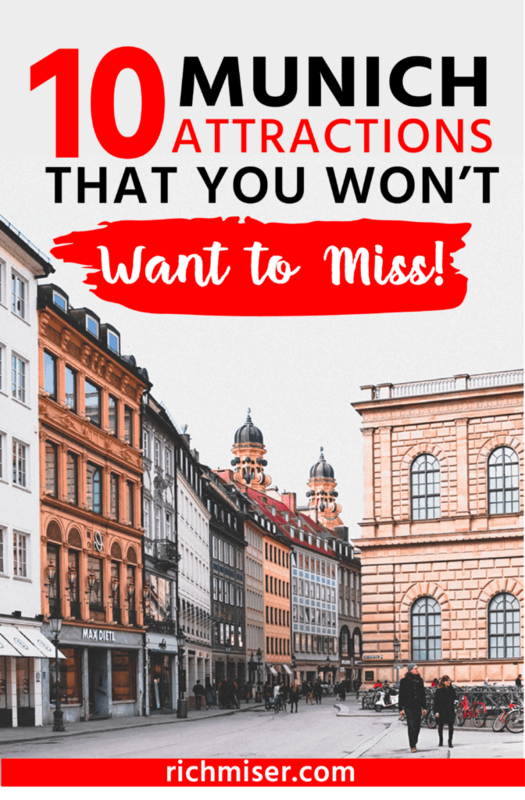 10 Munich Attractions That You Won't Want to Miss! 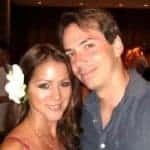 Today I have a guest post from Alexander, who has lived with his family in Munich for 20 years and runs a finance blog in his free time. Are you thinking about taking a trip to Germany? For 20 years, I’ve lived in beautiful Munich with my family. Two things I can say about it with certainty are that Munich is one of the most expensive cities in Germany, but it’s also one of the most beautiful and pleasant places in the world. Today, I’ll share a local’s perspective on what makes Munich so special and why it’s always worth a visit. Munich was founded in 1158 and is the third-largest city in Germany with about 1.53 million inhabitants. Every year, around 7.8 million people (including 1.4 million from North and South America) visit this magnificent city in southern Germany. Tourism-related turnover amounts to about 7 billion Euros per year. 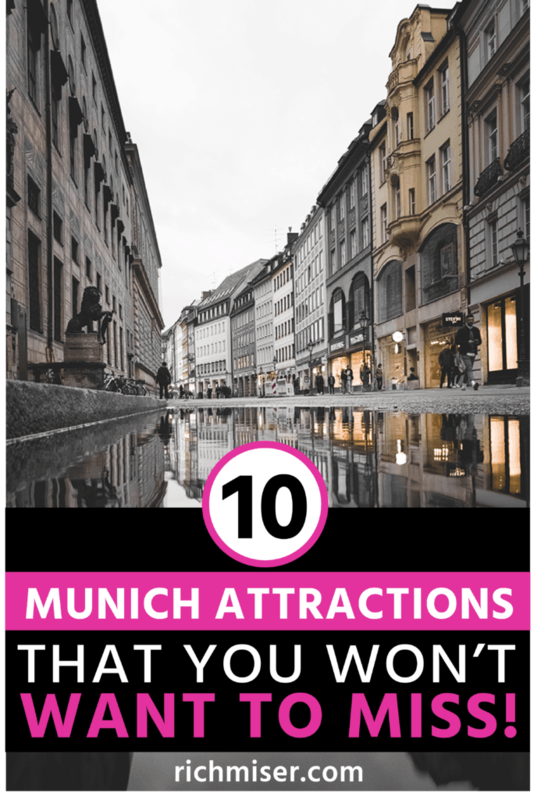 Even if it will lead to slightly lower revenue for the city of Munich, in this post I’ll show you how to discover the most amazing corners of Munich, even on a limited budget. I‘ll show you great sights, wonderful museums, inexpensive (yet good) restaurants, and real attractions and accommodations with great recreational potential. Here goes. Every tourist wandering through the city center of Munich sooner or later ends up at the Marienplatz. The Marienplatz has been the main square of the city since 1158 – during the Middle Ages it served not only as a market, but also as a venue for tournaments. 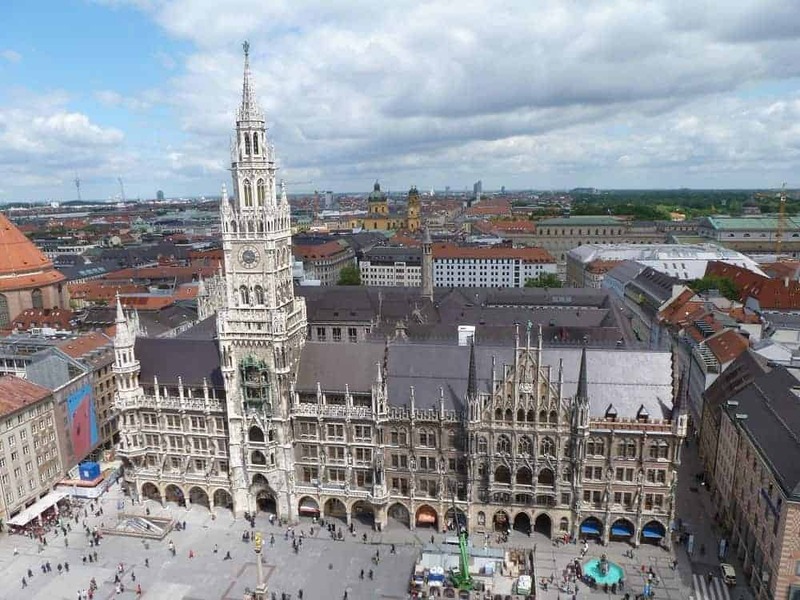 Today the most dominant building on Marienplatz is the City Hall, itself an attraction. What few tourists know: there is a really brilliant vantage point in the immediate vicinity of Marienplatz. Instead of taking average photos from below, you can ascend to one of my favorite vantage points: St. Peter, the oldest parish church in the city, which is just one block away from Marienplatz and its tower (affectionately known to the locals as “Alter Peter” or “Old Peter”) offers a fantastic view of the city, after climbing 306 adventurous and breathtaking steps from Munich’s city center. For only 3 Euros per person (or 1 Euro for kids over 6) you‘ll have a view of the Marienplatz from a dazzling height, with the town hall directly at your feet. Also, you’ll see the Allianz Arena to the north, the Maximillianeum (a palatial building) to the east, the Olympic tower to the west, and (in good weather) the Alps to the south, seemingly close enough to grasp! From about 90 meters (295 feet) up, all other tourists will envy your high perch and make the ascent as fast as possible. If you arrive in time before 11 or 12 a.m., a very special treat will be waiting for you. The town hall’s glockenspiel (a musical instrument slightly resembling a piano) will enchant you for 15 minutes with a total of 43 bells and numerous brightly-colored moving figurines. With the first sounds, an enthusiastic murmur will go through the waiting crowd of spectators, followed by mesmerized amazement. A guaranteed WOW experience! Just one thing: You should NOT stand right next to the seven bells of Old Peter at the full hour, because their sound will rattle your bones and will cause you to helplessly cover your ears with both hands! Just a few steps away from Marienplatz, the Viktualienmarket awaits you. Since 1807, it‘s been possible to stroll about this varied weekly market. Whether you crave fresh fruit and vegetables straight from the farm, tasty regional cheese or honey, hearty meat and fish of any kind, or wildest ice cream creations from Crazy Ice Makers, the Viktualienmarket in the heart of the old town leaves no culinary desires unfulfilled. So how about a white sausage with sweet mustard and fresh draft beer, or a pretzel with delicious Obatzda (a Bavarian cheese delicacy), plus beer ice cream for dessert? It‘s not just the locals who love these hearty indulgences; you will quickly get to like the taste and enjoy a good meal for little money. Only one more thing: traditionally, the white sausage should not “live” to hear the midday bells, so you should get them before 12 o’clock. 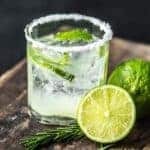 If you prefer eating at a restaurant as an alternative to street vendors, I have other good tips for you at the end of this article. What Central Park is for New York, the English Garden is for Munich. With an area covering approximately 375 hectares, it is the green lung of the city. Whenever the 1.5 million inhabitants of Munich look for a restful place outside the office, apartment, and street noise, they just walk a few meters and arrive at the English Garden. Numerous lakes and many green meadows dominate the overall impression of this beautiful park, and cozy beer gardens just wait to be discovered. The Seehaus restaurant and the Chinese Tower are the most popular tourist destinations due to their central location. Incidentally, one of the tips for exploring the English Garden is using the rental bikes that are now available throughout the city. With bikes you can get quickly from A to B and explore even the remotest corners of this vast park. If you want more comfort, let yourself be chauffeured through the English Garden in a rickshaw or a horse-drawn carriage. Are you a surfer? If so, then here‘s an insider tip for you. At the Munich Eisbach (river), near the Haus der Kunst (art museum), a very clever wave challenges the daredevils. Here, you can do „city surfing“. If you drive through Munich and you come across an incredible number of people looking down into the stream from a bridge, you‘ve come to the right place. With a budget of about 340 million Euros, Germany’s third largest stadium was built from the laying of the foundation stone in 2002 up to its completion in 2005 in the north of Munich. The stadium can accommodate about 80,000 visitors and is used exclusively for hosting football (soccer) matches. Since the games are usually sold out completely, I recommend you buy tickets even before you arrive in Munich. On-site it is difficult to find tickets for list price. You may be able to buy from a few scalpers right in front of the stadium, but you have to be careful what you buy. 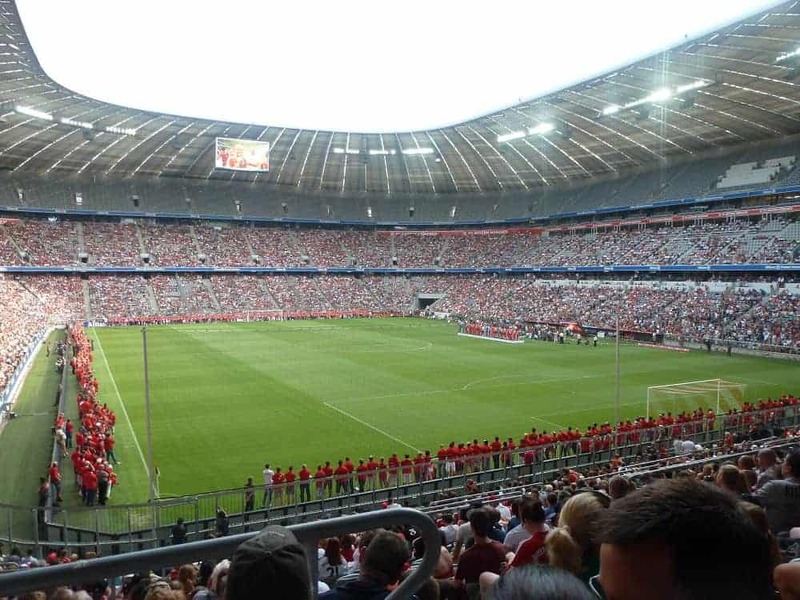 If you have secured a place in the Allianz Arena, you will surely experience a great football game. The atmosphere is rousing, the acoustics great, and there’s plenty of fast food, soft drinks, and beer for you to enjoy. However, the football experience does not come cheap. For good seats in a top-class game you can easily pay over 200 Euros for a family of four, with international tournaments commanding even more. 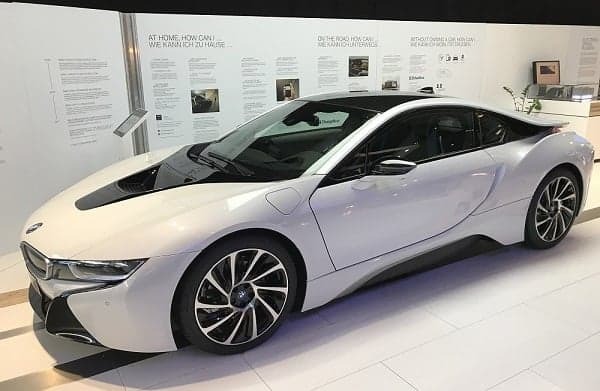 BMW World is a great place for lovers of fast, sleek wheels. Admission is free, so it‘s a real bargain. You get access to the showroom, where you can board all current BMW models, plus admire several motorcycles and vehicles from Rolls-Royce. If you are lucky, a small demonstration takes place with a motorcyclist driving up and down the stairs in front of a deeply impressed audience. In recent years I have been there countless times with my family, and the children like it enormously. Also, there’s a small bistro bar and a large souvenir shop, for a special something to take home. Another unique highlight is the factory tour, which starts directly from BMW World. Those reserving early can watch how different BMW models are created step-by-step during the factory tour. From punching and shaping to painting (cool robotics) to interior design, it is an impressive show. 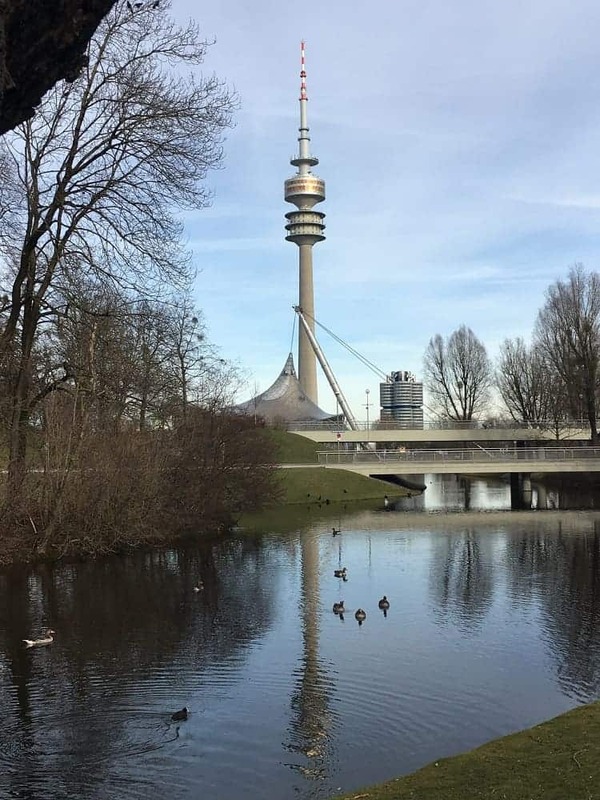 If you want to go up high after your visit to BMW World, just walk 1000 steps to the nearby Olympic Tower, and take the elevator up and enjoy a breathtaking panoramic view of Munich and the surrounding area. Your hunger pangs will be taken care of at a height of 181 meters in the revolving “Restaurant 181”. Visiting one of the best-known castles in Europe is a fairytale day trip into the wider Munich hinterland. Neuschwanstein Castle is located about 100 km (62 miles) from the southern gates of Munich and has about 1.4 million visitors annually. Neuschwanstein Castle (New Castle Hohenschwangau) was built in the 19th century on a rugged mountain in the style of a real medieval German castle. Perched high above the village of Hohenschwangau, it served as a special retreat for the shy Bavarian King Ludwig II, and was far ahead of its time. Parts of the castle have always been heated by a hot air central heating system, with running water available on all floors, and the toilets already had automatic flushing. Since 1886, the magnificent fairytale castle has been open to the public and even inspired the filmmaker Walt Disney. Not only in terms of the scenes in animated films such as Sleeping Beauty and Cinderella, but also for the logo design of his production company. For 13 Euro admission (children and adolescents up to 18 years are free) you can immerse yourself in this fantastic fairytale world. It is definitely worth a day trip. Munich‘s beers enjoy a very good reputation worldwide and are an integral part of the local tradition. 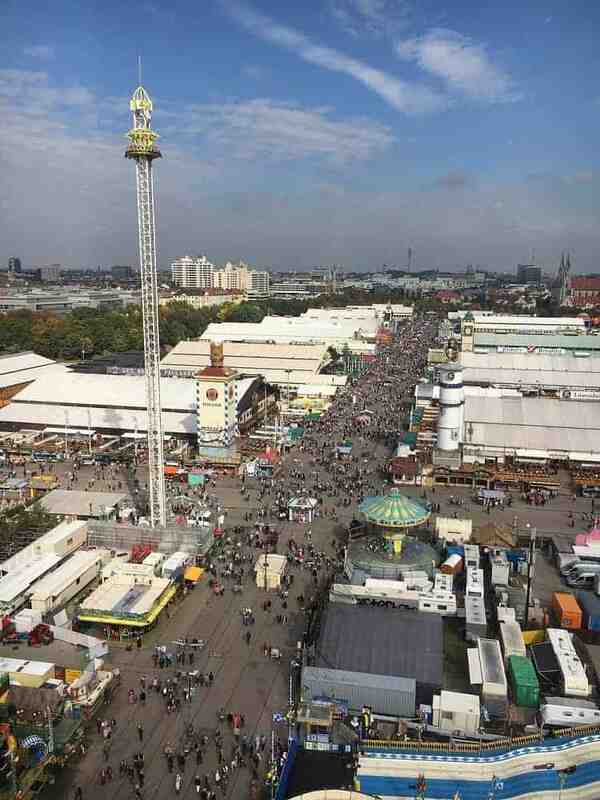 The Oktoberfest, affectionately called “Wiesn” by the locals, is the largest annual folk festival in Munich. In 2017, 6.2 million Oktoberfest visitors were counted, 127 oxen and 59 calves were consumed, and 7.5 million liters of beer drunk (1 “mass” or measure = 1 liter). The Oktoberfest usually takes place from late September to early October, and record crowds are expected each year. Everyone is welcome at the Oktoberfest. Of course, this also applies to families, because the huge festival meadow not only accommodates a large number of beer tents, but also tons of fun-fair attractions. 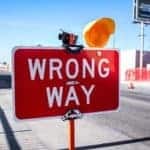 If you are traveling with children, you should avoid the evening hours, because it gets really crowded and many visitors are a bit “out of control” by then. But a word for the wise: the Oktoberfest very quickly tears a deep hole in your budget. A liter of beer costs about 10 Euros, a Hendl (roast chicken) around 15 Euros, rides about 5 Euros, and souvenirs are rarely cheap. In return, a truly unforgettable experience is guaranteed. There are many breweries in Munich and its surroundings. Here, the beer is brewed according to the German Purity Law. Only what is allowed goes into the brew: hops, malt, yeast, and water. As you might expect, beer is served in the Munich beer gardens not only in “masses”, meaning the typical stein, but also in masses of locations, be it at the touristic beer garden stronghold, Chinese Tower, or any other of the numerous Munich beer gardens. If you cannot make it to the Oktoberfest, you should definitely visit a beer garden. For all frugal travelers: in Bavarian beer gardens you can bring your own food (you only have to buy the drinks). If you want to buy your food there, you are well served with half a Hendl (roast chicken), Obatzda (cheese delicacy) and pretzels. Between Marienplatz and the Viktualienmarket there is not only the “Old Peter”, but also a very good Italian family restaurant if you want a break from the hearty Bavarian home cooking. Fair prices, delicious food, and friendly service are guaranteed in an absolutely central location. At Bernie’s Nudelbrett you get great food for the whole family. At Platzl 1 in Munich you’ll find not only the local Hard Rock Café, where delicious burgers, sandwiches, spare ribs, and salads await you (with prices at a big city level), but also the legendary Hofbräuhaus. It’s a brewing house from the 16th century which is still state-owned and excels with traditional Bavarian dishes and the unique Hofbräu beer. The Hofbräuhaus is considered the most famous tavern in the world and is a must-visit during your Munich trip. If now you really feel like visiting our beautiful Munich, then I have succeeded in presenting this unique place properly – it is, after all, a phenomenal city with a very special flair and excellent recreational value, and therefore rightly a real tourist magnet. Incidentally, Munich Airport is only 45 minutes from the city center and there are countless accommodation options for every budget, both in the city center and in the periphery. 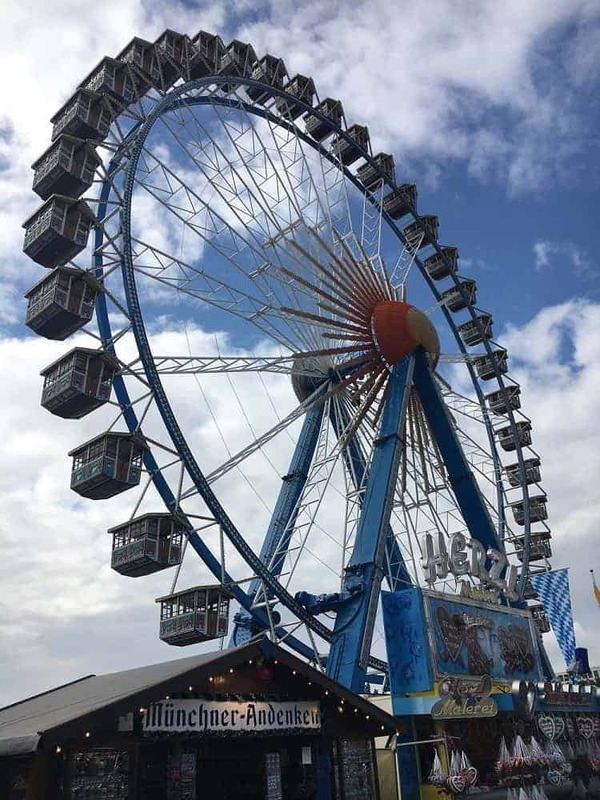 If you do not want to visit the Oktoberfest, it is better to avoid this season altogether. Hotel prices skyrocket and a room costs at least double (if not triple or more) than the usual rate. You can better invest the money saved in all of the other great sights and options that I have described for you. To book your overnights, you can use sites like Booking.com, AirBnB, or the German site HRS.de. To save more, you can rent a room in a youth hostel. 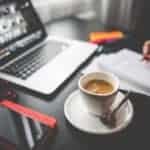 However, if you are looking for a little more comfort and yet do not want to invest a fortune, have a look at SecretEscapes.com – Munich hotels are almost always available at manageable prices. No matter where your hotel is located, with the very well-developed public transport network in and around Munich you‘ll be able to reach any destination in no time! You’re very welcome Tom. Munich is a wonderful city and always worth a visit. I have often been to the USA and have always enjoyed searching online for interesting excursions in advance.